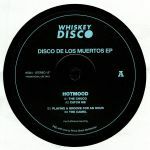 Review: From the tropics comes Whiskey Disco, a sneaky re-edit label bent on dredging the decanter for diffident dancefloor genius from latent disco perpetrators. It's loosely connected to Sleazy McQueen and his assorted cohorts. On the A side we have the one and only Osmose: DJ, digger, sound designer & producer but most of all: the originator of the Osmose Sound 7" Vinyl Record Stabilizer. 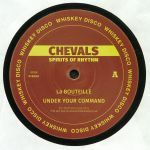 He throws down some late night, deep down boogie business (on the very soulful tip) for the A side. On the flip, Thoma Cher makes his debut with some neon lit 80s disco vibes on "All You Need" while "Fright Night" is more on the Italo angle. Review: We've been very impressed with the re-edits of Toronto based party-starters the Patchouli Brothers. This four-tracker marks their first appearance on Whiskey Disco, and comes on the back of a run of killer 12" singles on Basic Fingers. They hit the ground running with elastic EP opener "He Wonders", where fiendishly exotic synthesizer lines and hazy, misty-eyed vocals ride bouncy beats and rubbery bass guitar, before sauntering off into horn-heavy deep disco-funk territory on "A Mighty Joy". The fun continues on the flipside, where the formidably fuzzy, off-kilter warmth of tropical disco stepper "Can't Stop Christy" is joined by the classic disco flex of fantastic closing track "Take You There". Review: A double dose of goodness here, as Whiskey Disco regulars Pontchartrain and thatmanmonkz serve up two tasty new re-edits apiece. It's the former who handles side A. He begins with the breezy, tropical-sounding disco stomp of "La Magie" - all punchy horns, classic disco bass, fizzing synth lines and glassy-eyed female vocals - before brilliantly reworking a suitably obscure disco/jazz-funk instrumental (the suitably spacey "Hey Mariposa"). Arguably even better is "Luh Me On Mi Celly", the low-slung, stretched-out dub disco revision that counts as thatmanmonkz's first contribution to the EP. His second, "Radiation Steppa", is a fizzing, synth-heavy disco-boogie number blessed with passionate male group vocals. 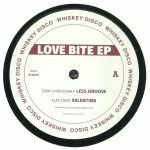 Review: Whiskey Disco's first missive of 2018 is something of a sweaty beast, with a quartet of producers stepping up to deliver some sticky dancefloor heat. Label chief Sleazy McQueen joins forces with Vagabundo Social Club on A-side edit "Boh! ", a slamming rework of a Bohannon-esque disco-funk jam rich in hard guitar riffs and crunchy Clavinet lines. The Rejected takes a different approach on the flipside, serving up a rolling, delay-laden tweak of celebratory, soccer-themed Brazilian club jam "O Craque De Futbol". Sunny, funky and low-slung, it's accompanied on side B by the gently housed-up swamp funk of Pontchartrain's "Have a Little Taste". Given the quality of the EP, we're more than happy to follow that instruction.